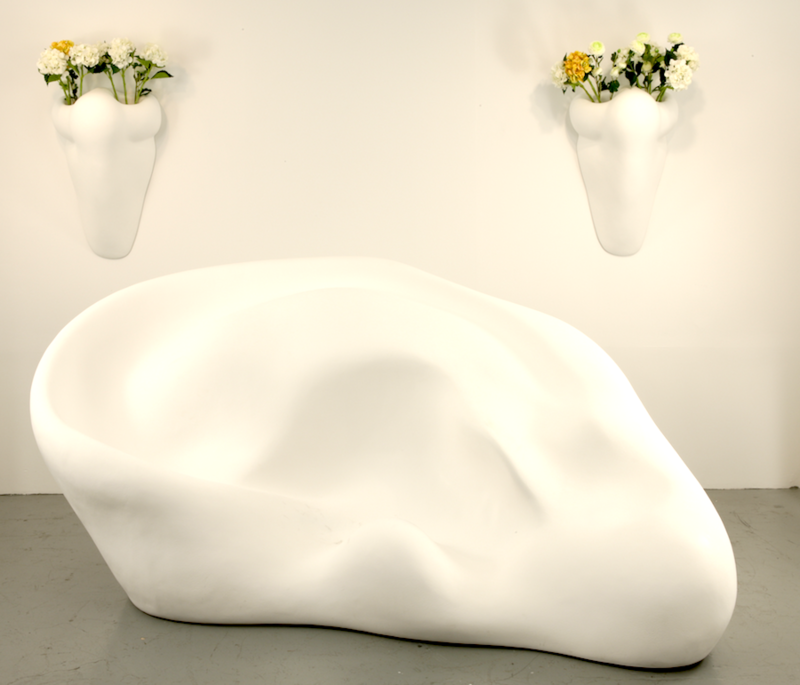 Ear Sofa and Nose Sconce, by John Baldessari, comprises a massive white leather ear resting on its side, and two ceramic noses, mounted upside-down behind the ear. These elements operate simultaneously as sculptural forms and functional objects, blurring the boundaries between those distinctions in characteristic Baldessari fashion. The ear provides a comfortable, sofa-like surface on which to rest or recline, while the nostrils of the upended noses can be used as flower vases.